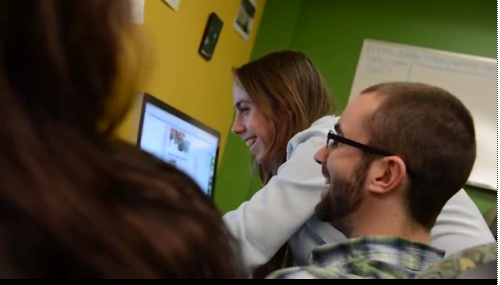 UVM Communications writers Sally McCay and Thomas Weaver recently dropped by The Vermont Cynic’s office in the Davis Center to pull back the curtain on publication night. While there, they paused to film several student journalists who are perhaps more accustomed to interviewing than they are to being interviewed. 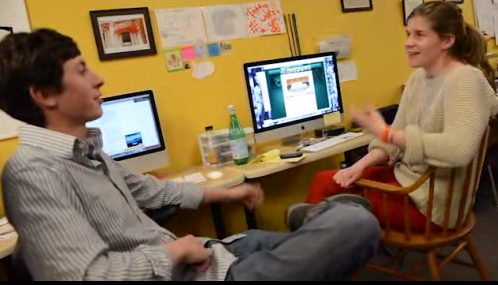 Editor-in-Chief Mike Eaton chats with Multimedia Editor Natalie Williams on production night. Managing Editor Devin Karambelas runs the newsroom throughout the week, though maybe a little more fervently as Wednesday night’s deadline approaches. Psst. Click here to watch the video.